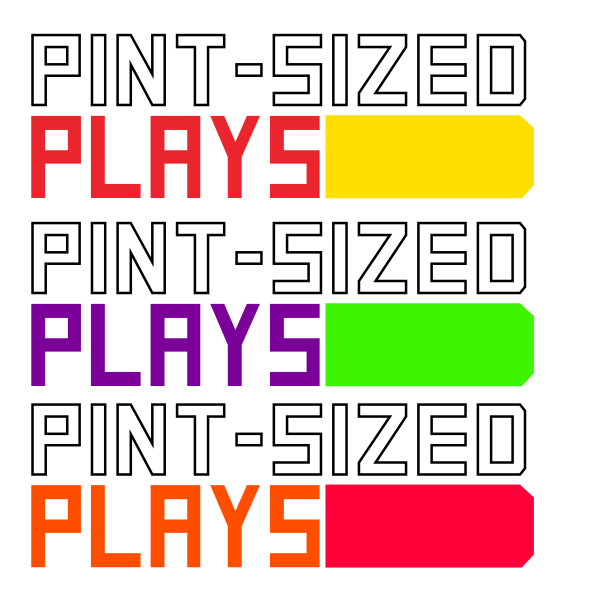 So, I’ve just learned that today, Tuesday November 11 2014 is the launch of Pint-Sized Plays, a monthly series that showcases new short-form performance work in Portsmouth, New Hampshire! The first performance is of a piece called This Is James, which includes some of my writing. Now I have to be honest, I originally wrote for this a long time ago and I have completely forgotten what I produced. Moreover, it was a collaborative project and I am not sure how much of my work will be reflected in the final performance. I do know, however, that the people producing Pint-Sized Plays are a very talented bunch indeed, so it’s bound to be a great night no matter what. Unfortunately, Chicago to New Hampshire is a bit of a trek, so I won’t able to attend, but I would encourage anybody in the Portsmouth region to go along. Outside of my meager involvement, Pint-Sized Plays looks like a really great happening for both lovers and creators of theater. I’ll definitely be following their development and I wish them a whole load of luck for tonight! You can find out more about Pint-Sized Plays via their Facebook page here, and/or their website here.